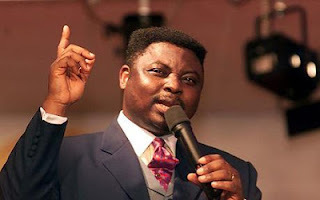 The Senior Pastor of Kingsway International Christian Centre, KICC, Mathew Ashimolowo while speaking as a guest speaker at the Excellence in Leadership Conference organized by Daystar Christian Centre, Oregun, Ikeja said any man willing to change the situation of a country does not need four years to make that difference, but just ONE. He also spoke about Nigeria not worth dying for using his father’s case as an example. “My father was killed at the Asaba/Onitsha Bridge during the Nigeria/Biafra civil war in 1967 and the Nigerian military did not have the decency to inform my family. His death was treated with levity; even to get his entitlement from the military, my brother had to bribe his way through. Is this the kind of country you would want to die for? Furthermore, “Nigeria’s problem is because culture influences how we choose leaders. Culture puts age before ability to choose leaders”. “Europe would not survive if it was not for Africa. Most of the things they need to survive are in Africa,” he stated. “A good leader does not need a four year term to make a difference. You can do that in a year,” Ashimolowo averred.